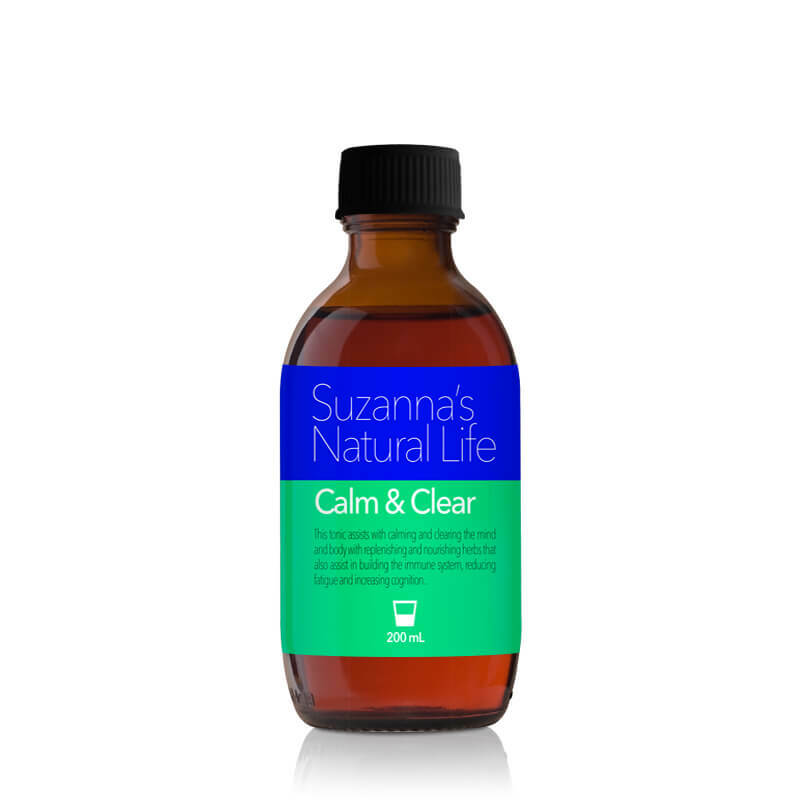 This tonic assists with calming and clearing the mind and body with replenishing and nourishing herbs that also assist in building the immune system, reducing fatigue and increasing cognition. Children: Contact the Green Naturopath for dosages for children. Bacopa helps to improve memory and concentration and assists in nourishing the nervous system when it is overactive with stress and anxiety. Codonopsis assists to bring energy when you are run down, experiencing fatigue and lacking energy. Gotu kola and withania assists the body adapting in times of increased stress physically, environmentally and emotionally while nourishing and replenishing the nervous system.